When you become sick or are injured from exposure to a toxic substance, it is usually because someone--or more commonly, some business or company-- failed to contain or properly handle certain chemicals. The release, spill, or leak of toxic chemicals into the workplace or the environment can cause serious illness, disease, or death. It can also cause serious ground water, soil, and air contamination. Long-term exposure to hazardous chemicals can have serious health effects. Workers have the right to do their jobs in a reasonably safe environment. If you or your loved one has been diagnosed with a disease, illness, or condition related to occupational exposure to chemicals, we may be able to help you get compensation through a "toxic tort." 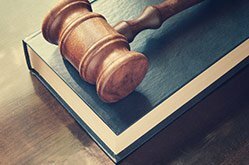 If you plan to bring a claim against a large industry, business, or corporation, make no mistake: you will need a highly experienced chemical exposure and environmental law attorney by your side, helping you seek maximum compensation and ensuring you're treated fairly every step of the way. Your attorney should understand the fine details of toxic tort law and how to fully investigate your claim, building the kind of case that gets results from insurance companies and juries. The Law Office of Michael W. Patrick, in Chapel Hill, is dedicated to helping workers and individuals suffering from injuries or diseases as a result of toxic exposure. We also represent families who have lost loved ones to chemical exposure and environmental contamination in wrongful death lawsuits. Our firm has handled petroleum contamination cases involving gasoline leaking from underground storage tanks that are improperly or constructed or maintained. We have also handled cases involving intentional petroleum contamination, such as one case where vandals dumped 8,000 gallons of aviation fuel from above ground tanks. The most common toxic tort claims in North Carolina are related to asbestos, which causes mesothelioma, lung cancer, asbestosis, and other serious health conditions. Michael W. Patrick is a strong advocate for people suffering from these diseases because he helped pioneer asbestos litigation in North Carolina. If you have developed one of these conditions from toxic exposure, we can help you file a personal injury lawsuit. Our North Carolina law firm offers a free initial consultation in every personal injury case. To speak with an experienced attorney about your injury due to chemical or asbestos exposure, contact the Law Office of Michael W. Patrick.